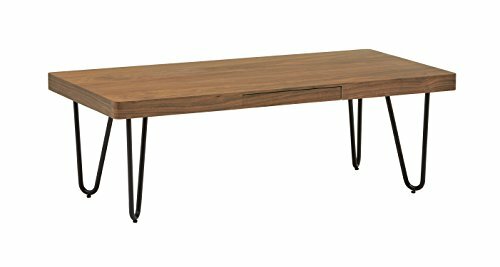 An Amazon brand - This modern coffee table appears to float on dark metal legs shaped much like hairpins. The wood top has walnut veneer for a classic touch that helps this piece blend with your existing styles. This modern coffee table appears to float on dark metal legs shaped much like hairpins. The wood top has walnut veneer for a classic touch that helps this piece blend with your existing styles.